Hello friends and welcome to another week of Makeup Monday. Today I am going to talk about the facial cleanser that I use to clean my face in the morning and evening. I use this cleanser from Clinique and it's mild and gentle to use and leaves my skin feeling clean and soft and has no perfume smell. This cleanser lathers gently and cleans the skin without a dry feeling and rinses easily. This cleanser comes in 3 formulas: extra mild, mild and oily skin formula. I would recommend this cleanser and I've been using this for years. 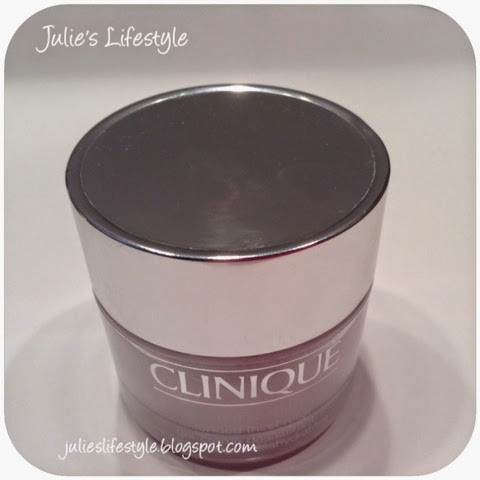 The cream I use for my eyes is called All About Eyes by Clinque. I apply this eye cream in the morning and evening too. This cream is lightweight and diminishes the appearance of puffs and under eye circles. Last week I mentioned that I love to use CeraVe moisturizing lotion for day and night time use and that it had no fancy bottle. Well I had an old Clinique bottle and I filled it up with some CeraVe and now it fits into my medicine cabinet in my bathroom. I love that it fits and doesn't take up a lot of room on the counter. If you missed the post about CeraVe you can see it here. What facial cleanser and eye cream do you like to use? I would love to know! P.S. - Diane from Lavender Dreamer was the winner of my Makeup Monday giveaway that I had and to see the post click HERE and she has mentioned me on her blog today and you can visit her HERE to see. Thanks sweet friend Diane for mentioning me and I'm glad you are enjoying everything! 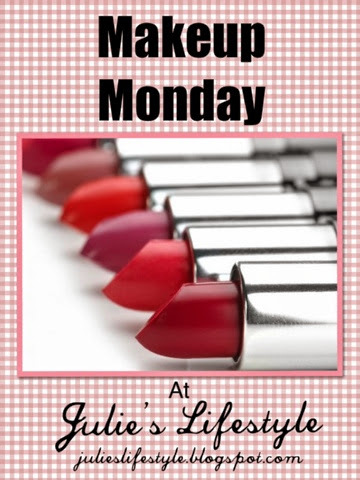 I hope to see you next week and if you missed any Makeup Monday's you can see them here. I used to use Prescriptives EVERYTHING...and then they closed their counters and only sell a few items online- boo! So I have been forced to try other things. I have found Clinique to be the best substitute so far for eye and face cream. I use Neutrogena Gentle Face Wash and I love it! Thanks for the Clinique review; I used it years ago and liked it. I may have to get some of that All About Eyes. I haven't found an eye cream I like yet. For facial cleanser, I use Mary Kay 3-in-1. That may be changing too, soon; the older I get, the more my skin seems to change. i've never tried clinique.so this is good to hear. i used Cetaphil for the longest and it was good. 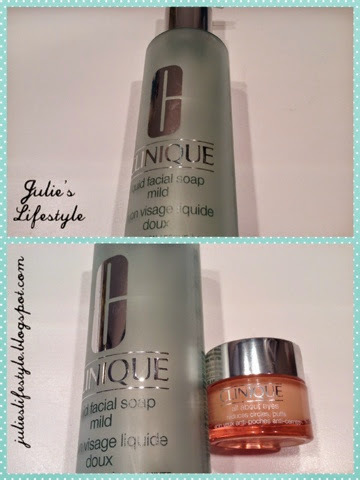 since i've been blogging i've been testing out other brands. Jurlique has been the best yet. I have used Clinique; love their products. and I have used Cetaphil as well, which I like. A lot of times I just use my Clarisonic with plain water in the shower. I am going for a consultation with an aesthetician this week and will check out her recommendations -- no botox or fillers or anything!! but natural skin care. I haven't ever tried Clinique, but I do know it's got a fabulous reputation for high quality! Thanks for the product recommendation!! I've never used any Clinique products but always hear good things about them. I have used Mary Kay & Jafra over the years, but for the last five years or so, I've been using Olay products and have been very pleased. Good Afternoon Julie, I do love Clinique products, but I have never used their facewash. I find now that I am older, heavy cleansers are not so good for my skin, so I am going with your recommendation and I am going to give the face wash a try. I use to use this all the time and as I aged it seemed to dry my face out badly for some reason and I had to switch products. But was a great soap while I used it. Thanks for linking up to the Bloggers Brags Pinterest Party. I've pinned your post to the Bloggers Brags Pinterest Board. I used to use Clinique when I was in my early twenties, but as I aged I changed products. I now use Philosophy cleanser and cream. I also like Oil of Olay Regenerist for under the eye. Thanks for sharing on Merry Monday. I used Cetaphil for years and do love it, but lately I've been using ROC Max Resurfacing Facial Cleanser, and like it, too. I still want to try the CeraVe that you love for a lotion. Happy Mother's Day to you! I'm always on the lookout for an effective eye cream. I've been using a deluxe sample size Estée Lauder Advanced Night Repai Eye Cream and loving it but my sample is now finished and it is quite expensive to buy!